Disclaimer: The views and opinions expressed in this article are those of the author and do not necessarily reflect the official policy or position of the union or association. 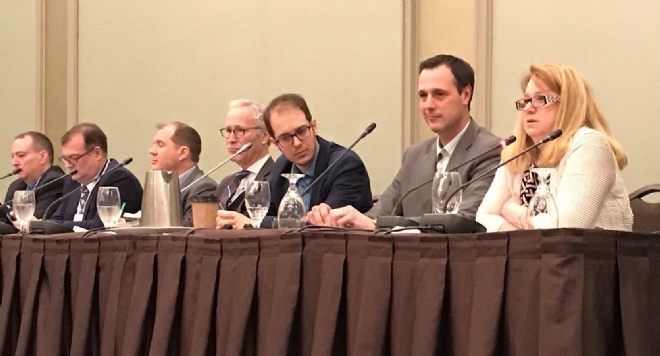 After listening to the four representatives from each of the major provincial political parties at the Provincial Council of QPAT, I ask myself "Do politicians really care about education in Quebec?" Teachers are feeling the pressure. In the last decade, teaching has become more and more demanding. Subsidized private schools and special programs in our local public schools have skimmed some of the best students off the top. The regular classroom is not very "regular" anymore. It is filled with a high number of students that are at-risk, students with special needs, learning difficulties and behavioral issues. The composition of the regular classroom has never been so demanding. This probably explains why, according to a survey conducted in March of 2018 by QPAT, 55% of teachers surveyed have experienced violence in the workplace. Also, one out of five new teachers drop out of the profession in their first five years. Recently, a group of teachers has started a grassroots movement called Profs en Mouvement, a Facebook group dedicated to the teaching profession. Inspired by the nurses, teachers have taken things into their own hands. With almost 8,000 members, Profs en Mouvement's goal is to be heard by the government, to improve teachers working conditions and to highlight the importance of their profession. David Birnbaum (Liberal Party of Quebec), Jean-Francois Roberge (Coalition Avenir Quebec), Alexandre Leduc (Quebec Solidaire) and Carole Poirier (Parti Quebecois) sat in a row on a platform looking out to a crowd of about 100 teacher delegates from across the province. They were given three questions in advance and were to pronounce on their platform for education in Quebec. Birnbaum, parliamentary assistant to the Minister of Education, thought he had an inside connection. He had negotiated as the executive director of QESBA (Quebec English School Board Association) with QPAT and he spoke as if he was an old friend. I believe this approach backfired. He seemed to ramble on in a condescending and overconfident fashion without any clear direction. He said that negotiating was a series of compromises and that we "signed labour agreements looking each other in the eyes". Although, I seem to recall that it was the teachers that compromised at the last round of negotiations. Roberge started off pretty good. He is a former elementary teacher, so he was able to connect to the audience. The CAQ proposes to decentralize education; give the power to the schools and centres. School boards would become service centres. Regrettably, not all principals are great leaders, and this could be difficult for some schools. He spoke against "l'int�gration sauvage" and having enough specialized classrooms for those students who need them. He also said that the CAQ will slash school taxes and get rid of commissioners and school elections. Poirier, the official opposition critic for elementary and secondary education, calmly spoke to us as if we were at some sort of memorial service. She obviously looked at the Profs en Mouvement Facebook page for guidance. She was "shocked" that teachers are reporting violence in their workplaces and that special programs are creating a "�cr�mage des �coles". She had a lot of great things to say, she was very not convincing and there didn�t seem to be a concrete policy around education. Leduc, historian and unionist, running in his third round for election in the Hochelaga-Maisonneuve riding in Montreal, looked as if he just stepped out of University. Surprisingly, quite articulate and perhaps the only one who actually answered the questions without repeating the same monologue over and over. His party wants to abolish subsidies for private schools over four years and decrease class size. It is important to note that the Quebec government subsidizes 60% per pupil monies to private schools. Leduc reminded us that all tax payers contribute to the financing of private schools and yet not all can afford to send their children to these schools (Quebec has the largest number of students in private subsidized schools across Canada). Education should be the priority. Research has shown that education results in lower societal costs overall. Do politicians really care about education? I'm not sure. Since the teaching profession is not valorized in society, politicians need to invest, they need to talk to teachers and hear their voices. After listening for over an hour of political rambling, I understand why the Profs en Mouvement are taking things into their own hands. They want their voices heard. "Écr�mage des �coles" is the skimming off the top of the top students.